Do you know the difference between ottoman storage beds and storage beds with drawers? Yes you’re right they both have storage in them. But here is why the ottoman opening is better than the drawer system. You may be familiar with the term ottoman referring to a small footstool, or a cushioned low seating area. However when the word ottoman is mixed with storage beds, it actually refers to the lifting mechanism. We have three mechanism options, and six bed base options to choose from within our ottoman bed range. Each of our bed bases offers a slightly different amount of storage, but they all open in exactly the same way. The whole mechanism of the bed lifts up to allow you to access the storage underneath it. And you don’t have to remove any of your bedding or furniture to access them. This ottoman bed has a whopping 33cm of storage, that’s over 1000 cubic litres! You usually need a divan base to add storage in the form of drawers. A divan is a bed base with a flat top, and is often upholstered in a basic fabric. Of course the larger the base, the larger the drawers, hence why they are often fairly chunky. 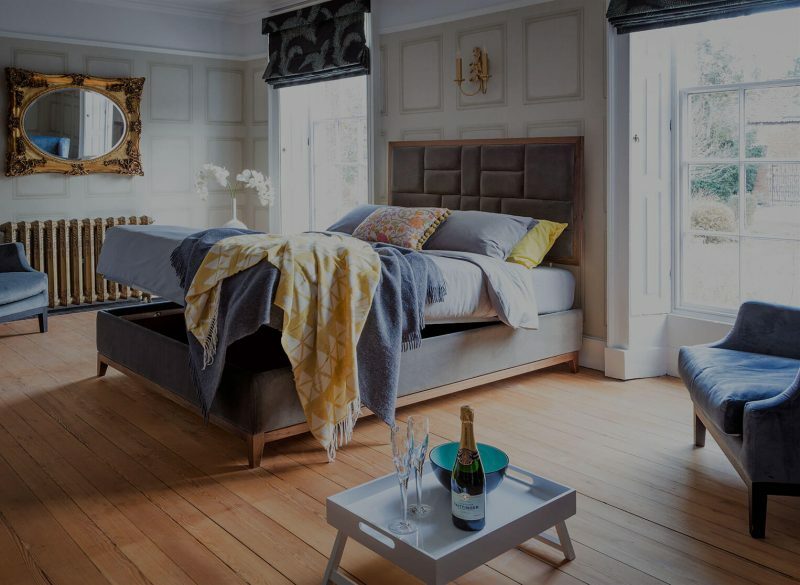 There are some storage beds with drawers that are finished in upholstery fabrics, but they are mostly the divan style which would require a valance to cover the basic fabric underneath. We don’t actually make a storage bed with drawers and it’s not the best way of gaining storage. 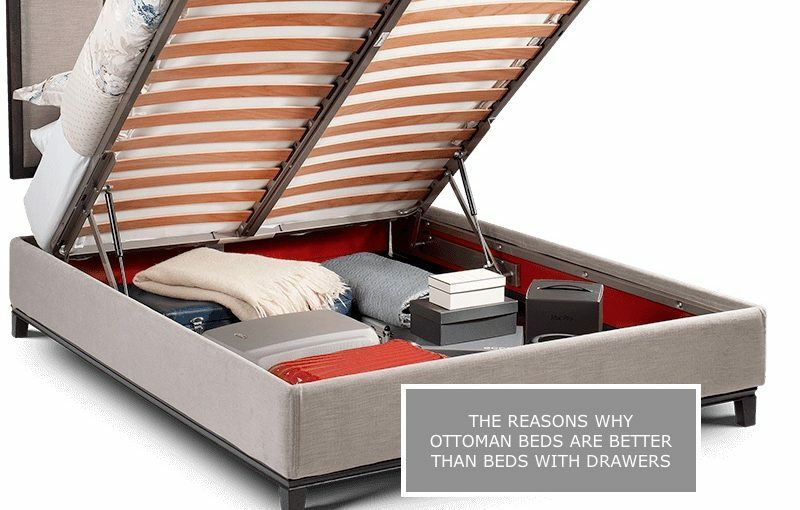 Why is the Ottoman storage bed better than a storage bed with drawers? The opening mechanism is really easy to lift (we can only speak for our own mechanism here, not for others). The drawers closest to the end of the bed are relatively easy to open. But the ones closest to the top of the bed are half hidden by the bed side tables. This means that you have to move any side tables before you can access them. The opening mechanism allows for the most storage possible. (Again, we can only speak for our own storage bed bases here, not for others). But with no divides, no space underneath the bed is wasted. Unlike the drawers that need runners to slide in and out on, and therefore need a divide to attach to. There are different bed base styles available for the ottoman opening, which are far more limited with the drawer system. Of course if you have drawers, then the larger the base, the more space. The smaller the base, the smaller the drawers. This is in theory the same for the Ottoman bases too. However as storage bed specialists we have come up with some clever ways of hiding more storage underneath a bed base than you might expect. Of course we are going to be slightly bias as we don’t make storage beds with drawers. However Ottoman Storage Beds really are better. Previous Previous post: How do you know which is the best mattress for you?